← I hope he has one of Steve’s dry suits! If you follow my blog at all, you know I love American legacy brands like Allen Edmonds, Wigwam Mills, Hart Schaffner Marx, Crane Paper and Homer Loughlin China. Well I recently discovered another iconic American firm that has been producing wonderful boots since 1879. The firm is Justin Boots. 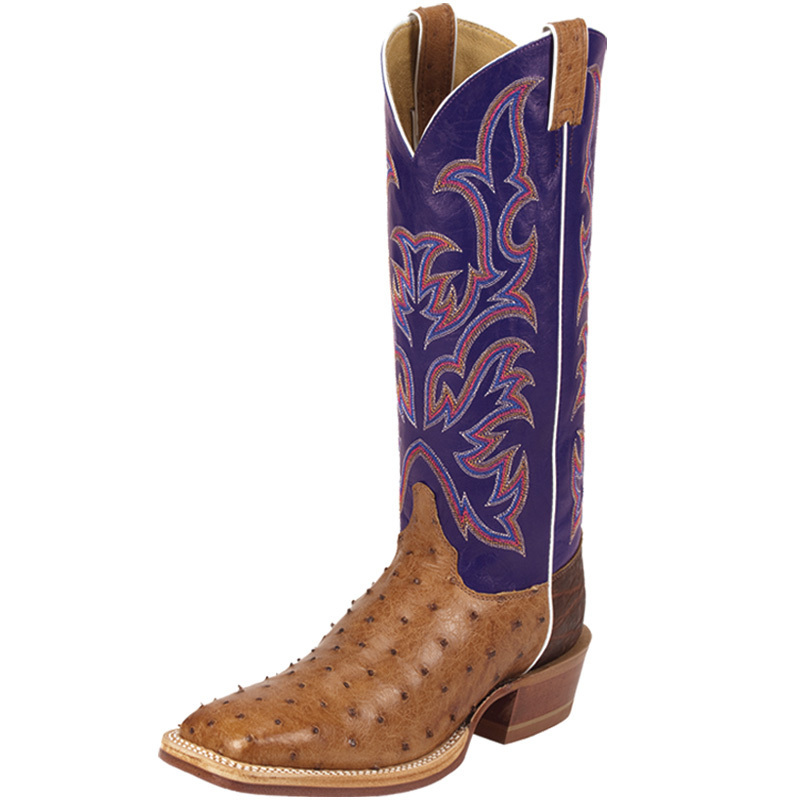 Once I learned about Justin Boots, I contacted them and we had a chat about them and the members of our extended American family that work at Justin. I had a bunch of questions and they found me a Justin “family” member who was able to provide me with answers. Her name is Stacie Reed and here is her story. My name is Stacie Reed and I have worked at the Justin Brands Cassville factory since January 1990. At the time I began working at Justin, I was 21 years old. My mom and my aunt had been working at Justin for some time, said it was a great place to work, and suggested I apply. Since that time my dad and my sister have also joined us at Justin! I wanted to work for Justin because I had heard great things about the company from my family and I wanted a full-time position with a benefit package and better pay. I initially worked in the fitting department where my primary duty was double needle stitching the pull straps of boots. I recently received a job promotion to engineering process analyst trainee in the engineering department. Working for Justin has taught me the importance of working as a team. When I first began at Justin, Rose Newman and Kay Hedrick took me under their wings and patiently showed me how to make a quality boot step by step. But Rose and Kay also imparted life lessons that have shaped the woman I have become. They were like my other mothers, always quick to give a hug or a push in the right direction when I needed it. Even though Rose and Kay have since retired from Justin, we still keep in touch to this day. It has been rewarding to pay back the investment Rose and Kay made in me by training new members of the Justin family. My department has always been like a big family. I remember several times different team members would be having a hard time – suffering from a divorce, family death or house fire – and we would p00l our resources together to bring groceries or anything else that person might have needed at the time. I could go on and on with examples like these. The people at Justin are so caring. Justin has been making boots since 1879 and some of the most important boot-making techniques we use today are those the brand used at its inception. I sometimes consider the unbroken chain of American workers like me who have made Justin boots for more than a century. To be a part of an enduring effort to make boots that serve people well because of their quality and bring people joy because of their beauty is very satisfying. I’m so thankful Justin remains committed to having its boots made in its U.S. factories and employing people just like me. Stacie’s story is instructive as to why it is so important to support brands like Justin Boots whose products are made by members of our extended American family. Certain values have always been cherished in America. If you work hard and apply yourself, that effort will be recognized and rewarded. Stacie worked hard; Justin recognized her efforts and promoted her. Stacie’s acknowledgement of the help she got from Rose and Kay as she was getting started at Justin led her to help those who came after her. When Stacie’s Justin family members were going through hard times, Stacie and others at Justin made sure that they got the help they needed. Work provides dignity, meaning, and a sense of belonging. The job Justin provided to Stacie has allowed her to be a part of something bigger than herself. It has allowed her to support her family and those around her and allowed her to use her energy and intellect to develop into a valued member of the Justin family. Every time we make a purchase, we make a choice about what we are supporting. Buying Justin Boots is statement that you value quality, but more than that it is a statement that you value Americans like Stacie who exhibit the characteristics that have always made America extraordinary. This entry was posted in american made, Made in America, made in usa, shoes and tagged Allen Edmond, american made boots, American made cowboy boots, Hartmarx, Justin boots, U.S. made boots, u.s. made cowboy boots, Wigwam Mills. Bookmark the permalink. Well written article. Actually there are several companies that still make cowboy boots made in the USA. -Jack A.